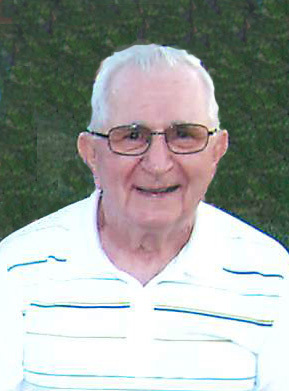 West, John William 85; of Springfield, OH passed away peacefully on January 20, 2019 at the VA hospital in Dayton, OH. He was born on January 10, 1934 to the parents of John A. and Clara Louise (Lawlis) West in Deep Valley, WV. Johnny, as referred to by his family, grew up in Deep Valley. He was the oldest of five brothers and one sister. He graduated from Mannington High School in 1951, where he played football and baseball. Johnny proudly served in the Navy, cruising the Mediterranean Sea. He later studied under the G.I Bill and graduated from Fairmont State College. In 1974, he received his master’s degree in Education from Xavier University. Johnny started his teaching and coaching career at Pruntytown boys’ school in 1959. He continued his profession at Amanda-Clearcreek High School in Amanda, OH and Sheridan High school in Thornville, OH. He retired from Southeastern High School in South Charleston, OH in 1984. He went on to coach football at Wilmington College, Wittenberg University, and along with Ray DeCola, started the football program at Urbana University. John and his wife, Jean, moved to a retirement village in Sprucecreek, Florida where he managed and played men’s softball. He returned to Ohio due to his health in 2014. He leaves behind notable one-of-a-kind sayings and will be remembered as a teacher of life lessons on and off the field. John is survived by his wife of 61 years Jean (Kendall) West, his siblings Gene (Wanda) West, Beaverton, MI, Perry (Nancy) West, Follansbee, WV, Tom (Linda) West, Mannington, WV, Jack West Fairmont, WV, and Doris (Steve) Snyder, Roanoke, VA; his children Brenda (John) DeWine, Springfield, OH with whom he resided, Glenda (John) Radel, Trenton, OH, and Dave (Rhonda) West, Springfield, OH; his grandchildren Ryan Radel, Eli West (Jaimie), Ashley (Colin) Foley, Scott Radel (Fiancée Lisa), Betsy DeWine (Fiancé Tyler), Austin Radel (Fiancée April), Alex West, and Kendall DeWine; his great grandchildren Carter, Nora, Nova and Calvin West, Saige, Elyse and Lucas Foley; many loving nieces and nephews. John is preceded in death by his parents and brother Jimmy West.